You can choose which products and variants to publish on your Amazon Merchant Store. Your stock will be automatically displayed on Amazon from TradeGecko. When an order is placed on your Amazon store, the sales order will be forwarded to your TradeGecko account. On TradeGecko, you can handle all sales orders at once. Sold something on Amazon? TradeGecko inventory levels are automatically updated. Made a sale on another channel? Amazon automatically updates. It’s a two-way sync. Already using TradeGecko? Connect with Amazon now! 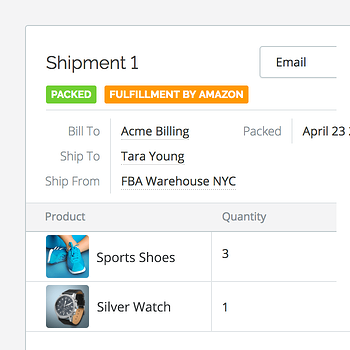 Easily expand your Amazon store across other popular channels like Shopify, Etsy and Ebay and manage orders from one platform. The whole experience has been great. TradeGecko does what we try to do as an online business: make sure customers stay happy." When ozdingo's business grew, the team started looking into various inventory management systems able to handle their business' specific requirements. TradeGecko's ability to handle product bundles, inventory kitting, and multiple sales channels proved it to be an adaptable solution. TradeGecko is the unifying element that lets us market to our audiences on so many different web platforms. What started as a simple idea of an artist selling his stuff online turned into a multifaceted, multichannel eCommerce success. 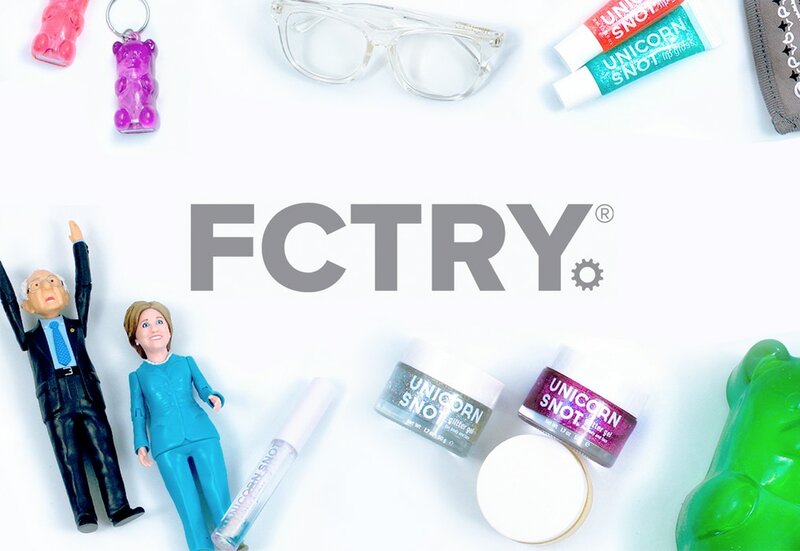 As a result of custom-built integrations, FCTRY is using TradeGecko in a unique and customized way. Which Amazon Marketplaces does TradeGecko support? TradeGecko supports amazon.com (United States), amazon.ca (Canada), amazon.co.uk (United Kingdom), amazon.de (Germany), amazon.es (Spain), amazon.fr (France), amazon.it (Italy), amazon.com.mx (Mexico), and amazon.com.au (Australia). What are the requirements for Stock Level Sync to work? SKUs are both existing in TradeGecko and Amazon. What other integrations does TradeGecko Offer? 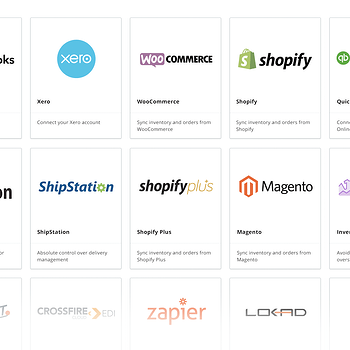 TradeGecko is connected to other top eCommerce channels (Shopify, WooCommerce, Magento), accounting (QuickBooks, Xero), shipping solutions (Shipstation), and many more.